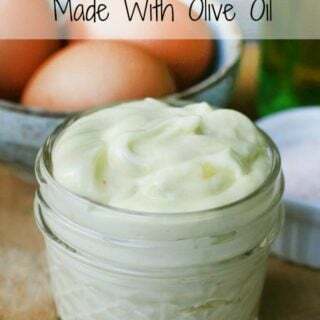 A simple homemade mayonnaise recipe made with olive oil. 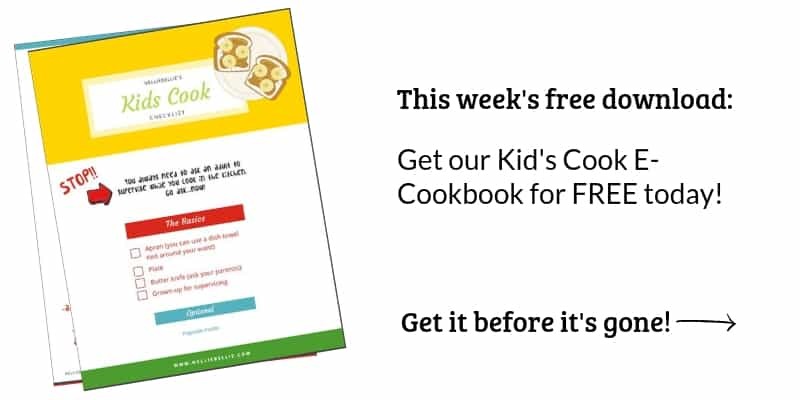 Takes less than 10 minutes to make. 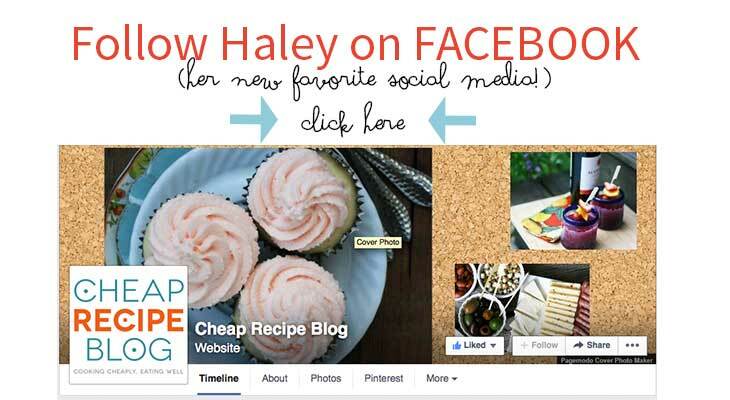 Once again my girl Haley shows us a fast, easy recipe that will save us money AND help us take control of the ingredients in our kitchen. Today she is showing us how to make mayonnaise out of olive oil. This is the freshest, tastiest olive oil you will ever try. Done in 5 minutes. Do you have a culinary bucket list? You know, a list of labor-intensive or perhaps intimidating recipes that you want to try? A layer cake, macarons, homemade cheese or boeuf bourguignon, perhaps? 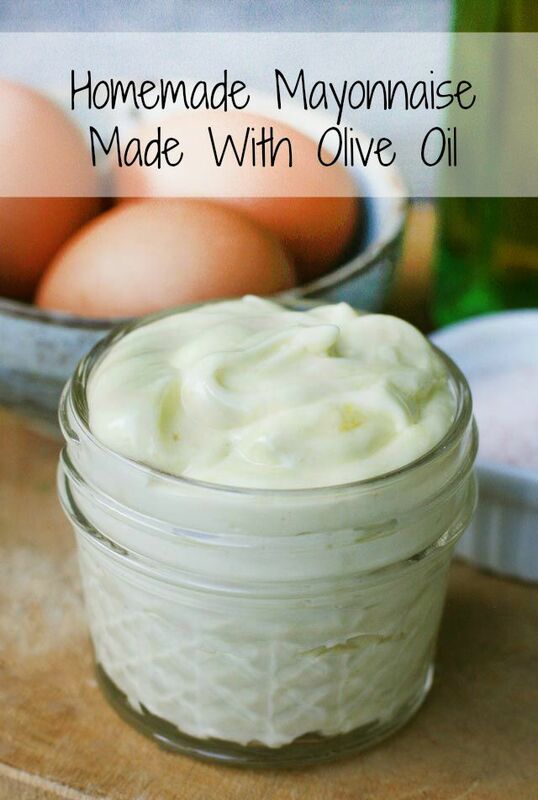 Homemade mayonnaise was on my culinary bucket list. Unfortunately, when I tried making it last year, I failed miserably and ended up with a runny mess. At that point, I decided to forget about making mayonnaise from scratch. After all, I was perfectly happy with the store-bought stuff. Well, I am so glad that I changed my mind and gave homemade mayo another chance. Why? This stuff is goo-ood. It’s super rich and decadent. Better than store bought. So the million dollar question is: Will I be making this again? Absolutely. The flavor is that much better, and it only takes less than 10 minutes to make. Use fresh eggs: Since we are dealing with raw eggs here, you want to make sure that you are using the freshest eggs possible. Chose organic eggs if available. Use room temperature egg yolks: Set your eggs out for at least an hour before making the mayonnaise. You want room temperature, not cold egg yolks. 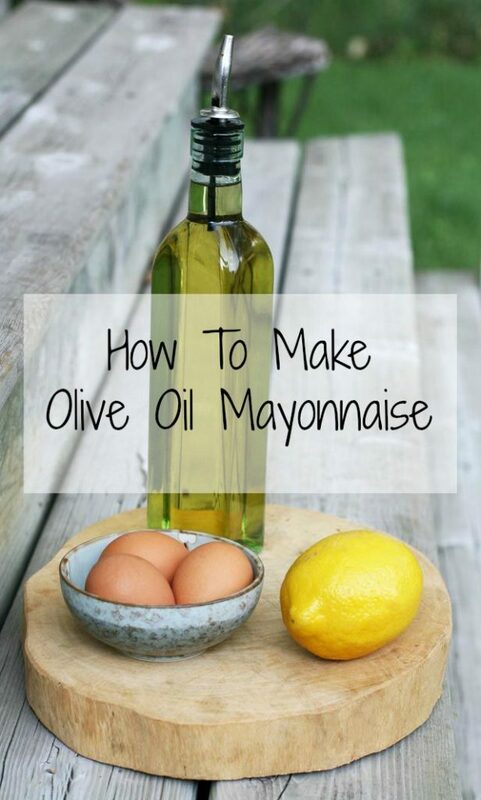 This is critical in ensuring that your mayonnaise turns out. Choose the right size appliance: The first time I tried making homemade mayo, I used a food processor. However, there was not enough egg yolk to reach the blades. Once I started adding the oil, the liquids reached the height of the blades, but it was too late. If you are going to make this in a food processor, you might want to double the recipe. Otherwise, I recommend using an immersion blender in a small cup so the liquid reaches above the blades. See photo, above. Slowly add oil to the eggs: Be sure to slowly (very slowly) add the oil to the eggs. Start with a drop or two. Then slowly (slowly!) add more oil. Once it starts to thicken and look mayo-like, you can add the oil faster. Money-saving tip: Save the egg whites and use them to make an omelette or something else. Using an immersion blender with attached mixing beaker, blend egg yolks until smooth. Start adding olive oil, one drop at a time, until the mixture starts to become thick. Once it thickens, you can stream in the olive oil faster. But the whole process should be slow. Once all of the oil is streamed in, add lemon juice and salt, to taste. Store refrigerated for up to 4 days.